The USHUD cooperative is accepting new members for exclusive representation in select areas. Contact info@USHUD.com or call 800-880-8584 to inquire if your area is open for exclusive representation. New memberships to the cooperative include a one time set fee of $500. 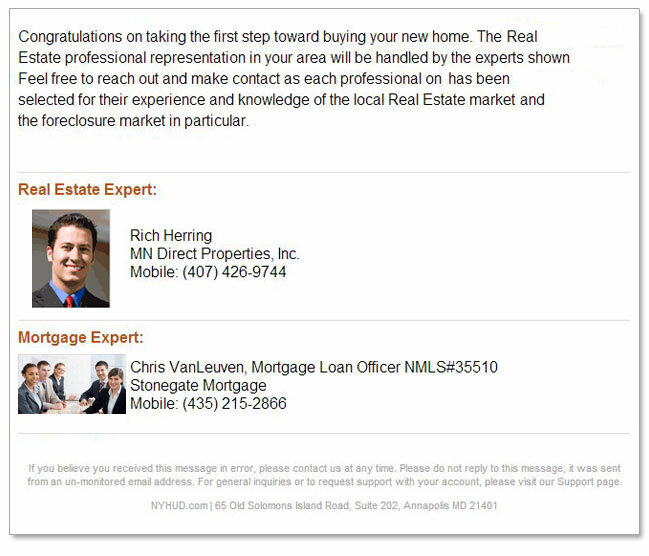 As a preferred expert, you will have a showcase ad in each of the regions that you choose. 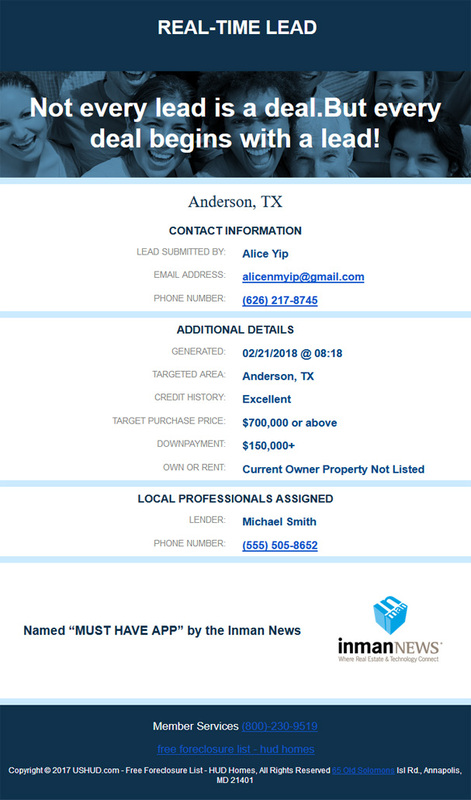 The Showcase Ad allows consumers to contact you directly with an expanding contact drawer without leaving the property list! 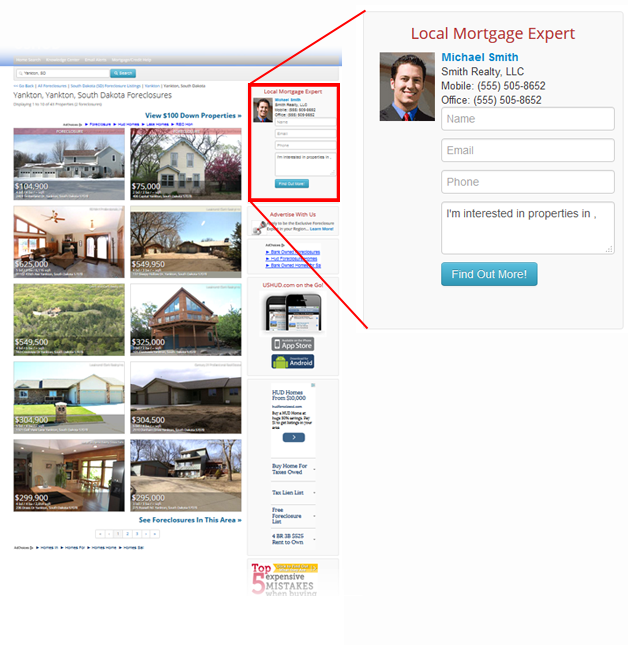 You also have an inline property list ad that keeps your information available to the consumer as the browse down the property list. 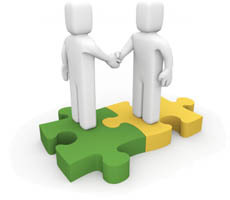 This ensures that you maintain your visibility and relationship to the properties listed! 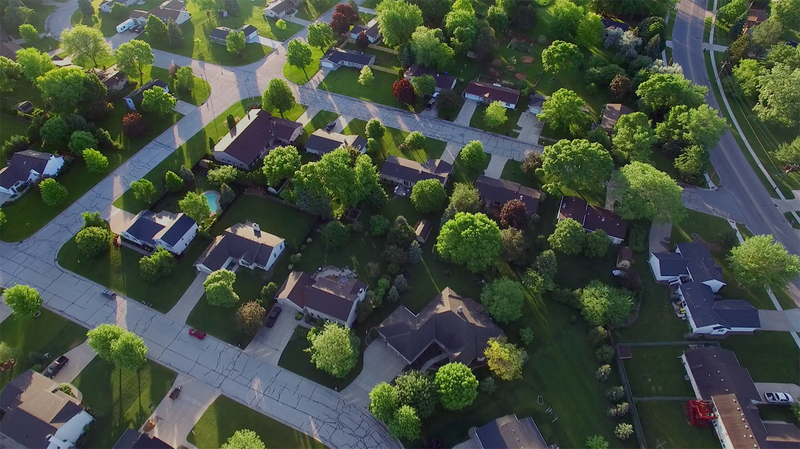 In each targeted geographic area there is only ONE agent and ONE lender presented to the homebuyer. Along with Exclusive Placement USHUD.com will never resell your lead to another real estate lender. Once the homebuyer has searched your area and fills out the prequalification form that lead is immediately e-mailed, text messaged and placed in your CRM. 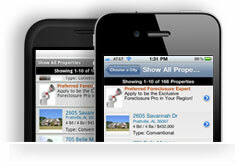 Real Time means that you can contact the homebuyer immediately, while they are still online and viewing the properties. With USHUD.com you will never be asked to sign a contract. Pay monthly and cancel at anytime. Don't have your own website? We will build a customized website for you at no extra cost; including the purchase of a URL that you chose. Find out by Calling 800.880.8584 Now!